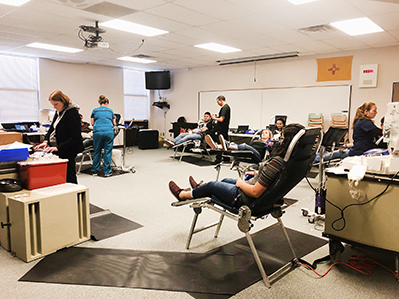 As of noon today, Artesia High School students had donated 30 of the more than 50 pints of blood they pledged to Vitalant during a Student Council-sponsored blood drive in the school’s Special Services Room. Vitalant has only one public blood drive scheduled for February in Artesia: from 2-5:30 p.m. Friday, Feb. 15, in the Senior Center multi-purpose room. Interested donors may schedule a time online at vitalant.org or contact Stephanie Seabrease at 625-9743, ext. 2109.